Without time to pack away the Christmas decorations or to recover fully from the New Year celebrations Jackpot Racing Athletes were back in action for 2017. The Temple Newsam Ten featured a good turnout of local Jackpotters. Conditions were muddy and heavy over what was largely a bridal and country paths course featuring views of Leeds and the 17th Century House and Gardens. 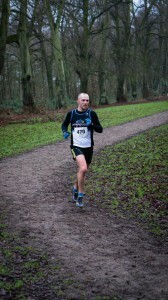 Richard Knell-Moore was first home for Jackpot completing the 10 mile course set in the 1500 acres Temple Newsam estate in a time of 1:09:56. 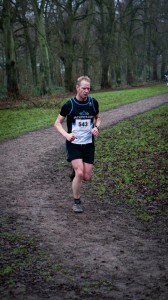 Richard finished 29th overall and 5th in his age group. Very closely followed was Eddie Howarth in 1:10:36, sixth in his age group and 32nd overall. A little off the two stalwarts was Emma Stoney who ran a blistering 1:14:49 as the fourth female home and second in her age group. Well done Emma, Eddie and Richard. Another Jackpot competitor with a much stated ‘pleasing’ debut performance was Richard Roberts; 1:20:26, while Robin Simpson posted a respectable 1:26:24, with little hours of training under his belt. Following his lead role as Santa at the Trinity Wakefield, Peter Kidd had recovered to post a time of 1:31:19 with Andrew Collings 1:35:42 and Gary Simpson venturing into the winter run season from his endurance time trialling events finished with a time of 1:50:51.